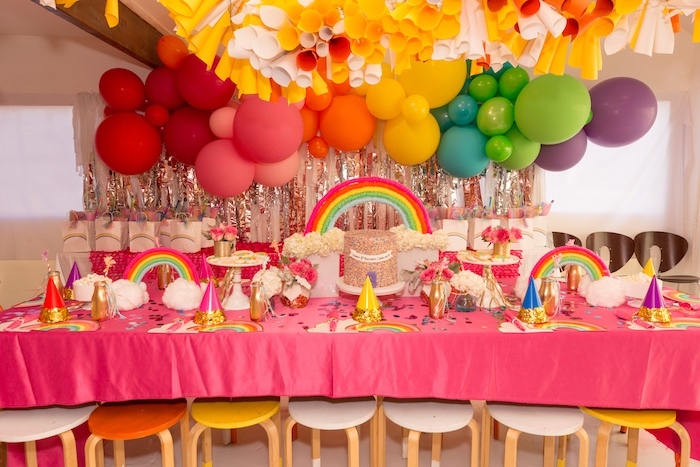 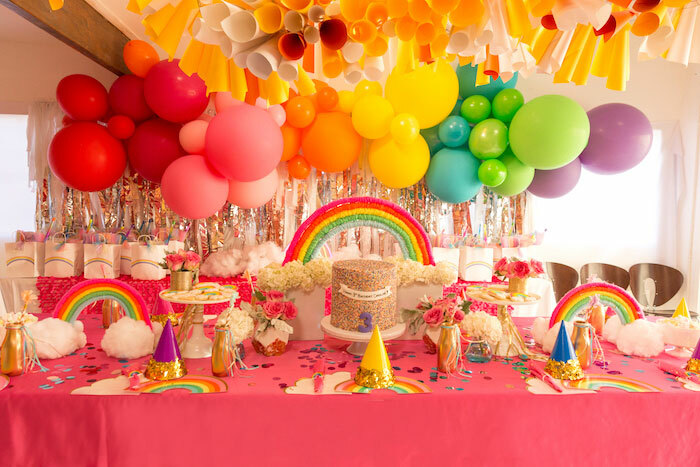 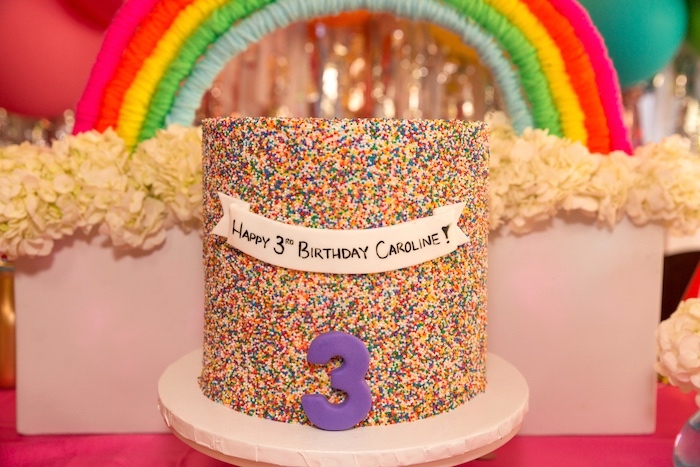 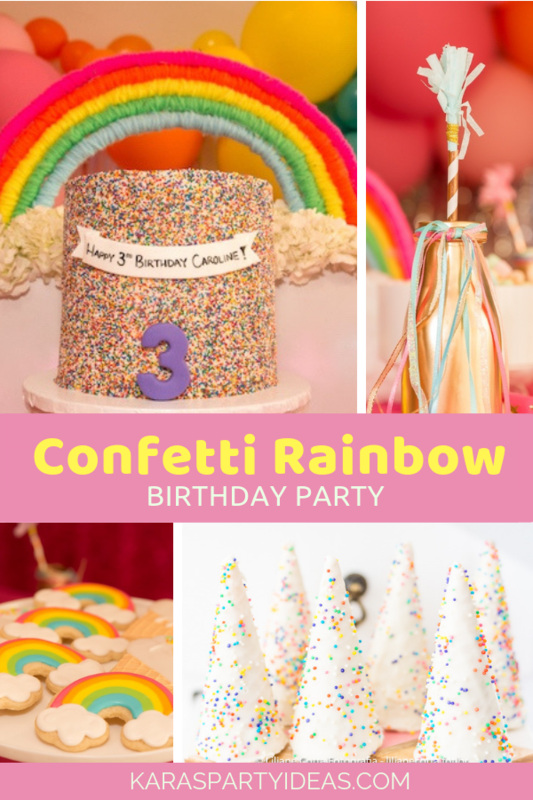 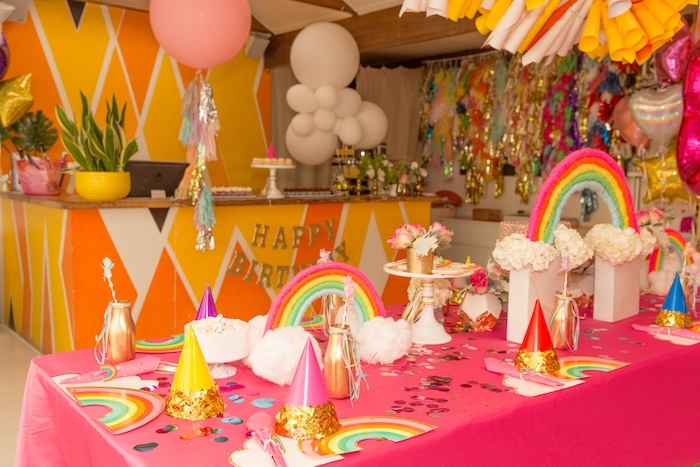 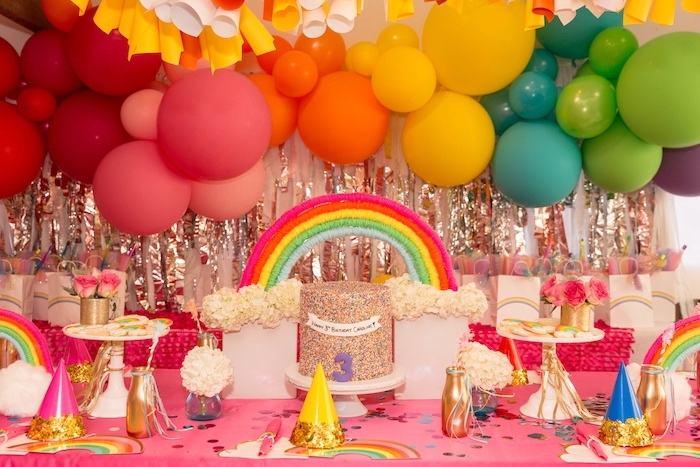 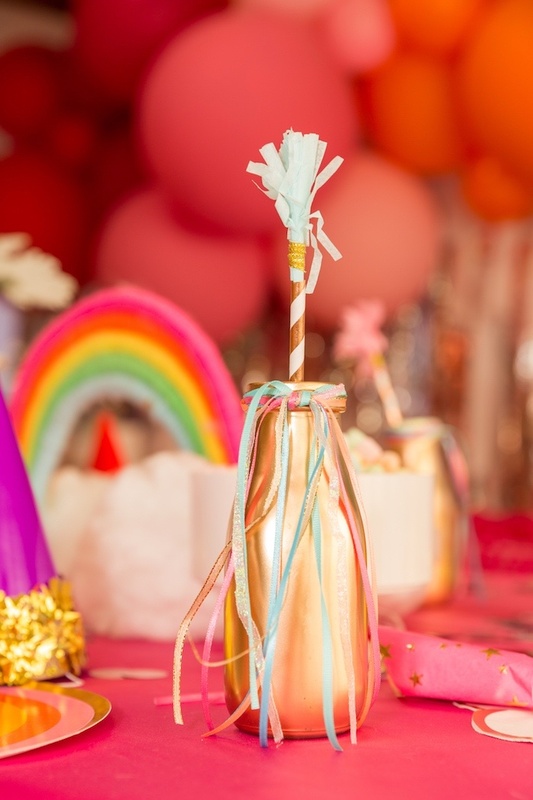 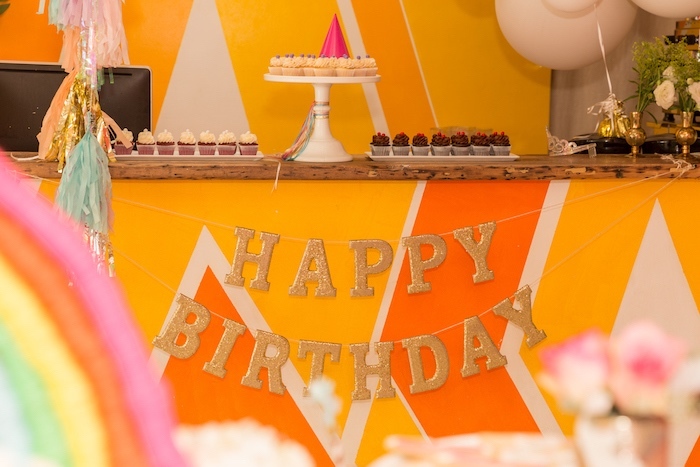 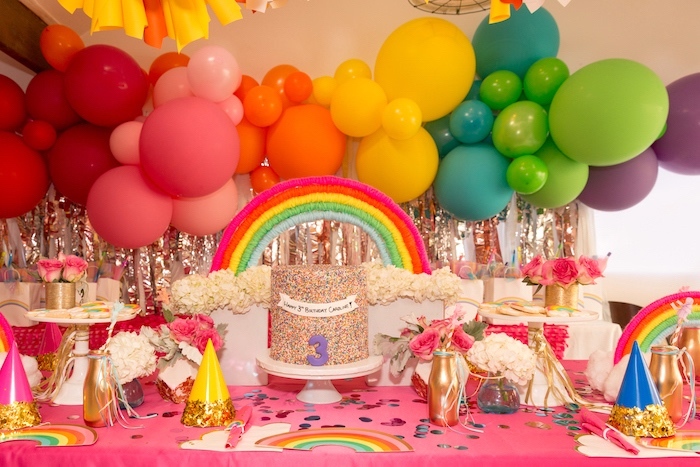 Make a wish and slide on in this Confetti Rainbow Birthday Party by Juliet Boydstun of the COOP – LA, out of Studio City, CA, is about to begin! 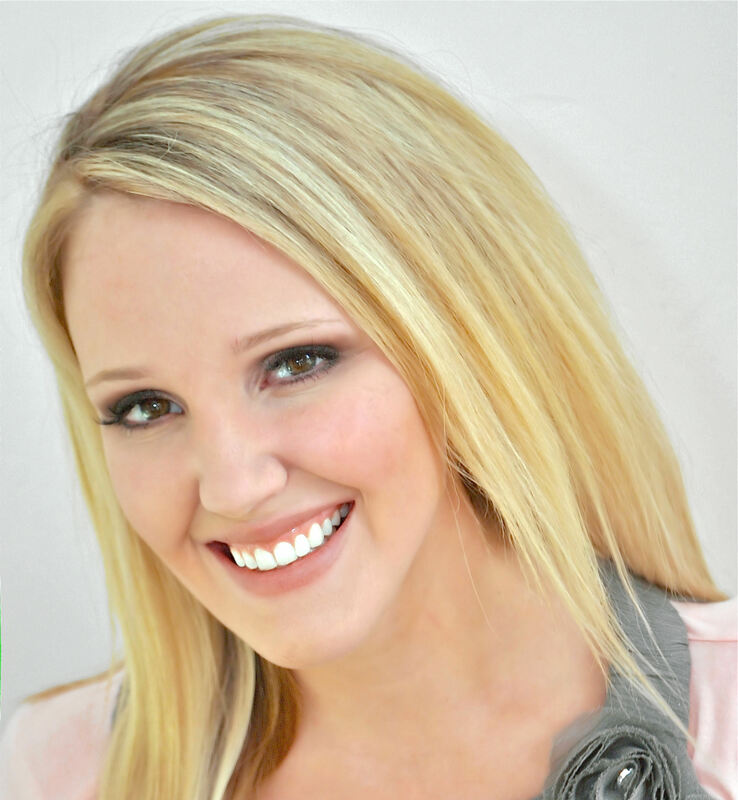 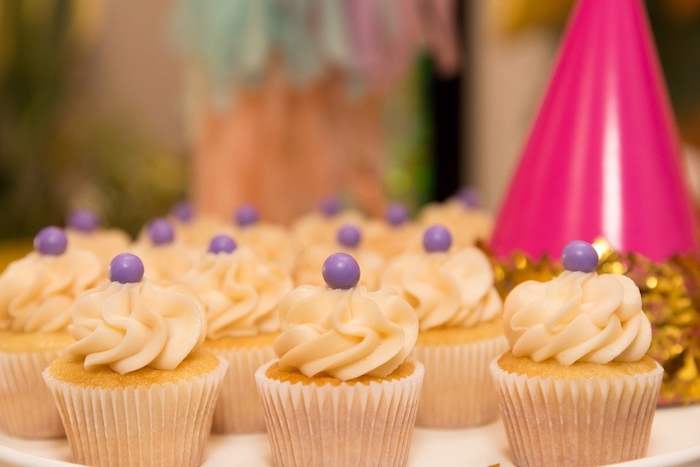 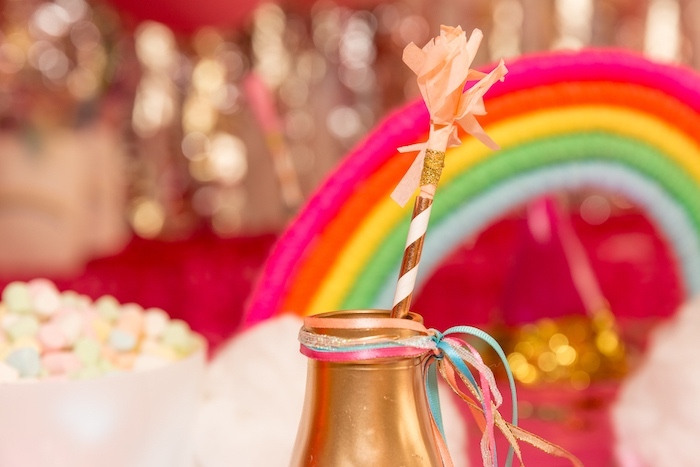 Shimmering with details that truly will stun, this girly bash is glitzy and fun! 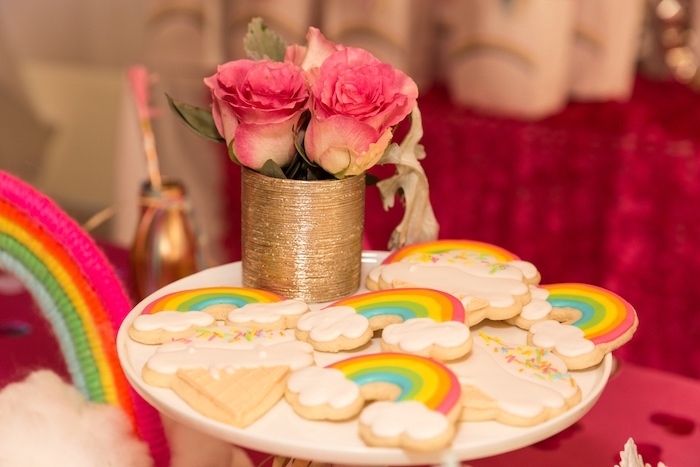 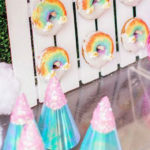 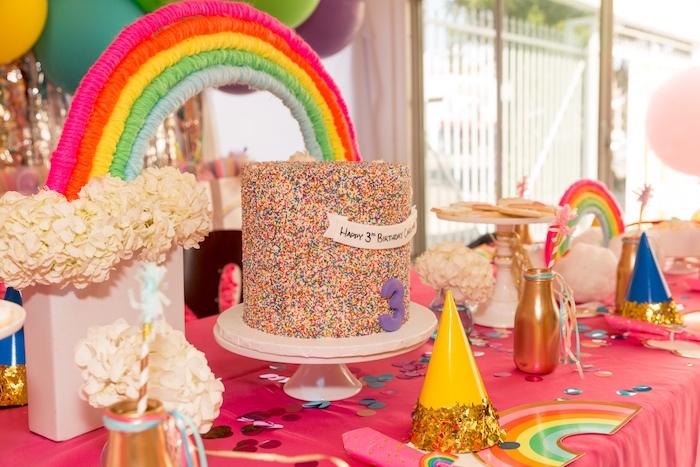 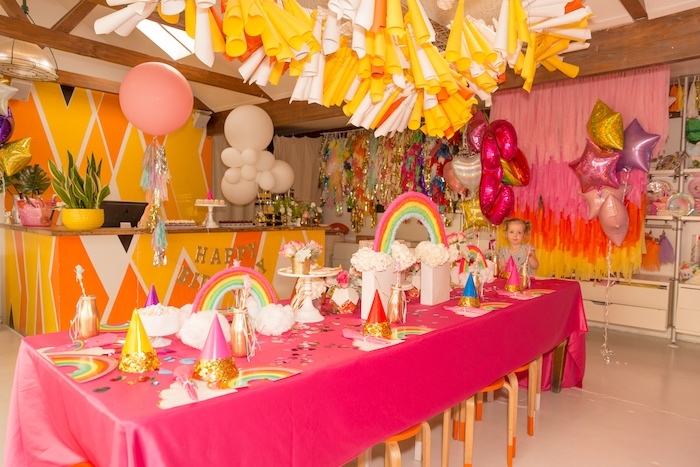 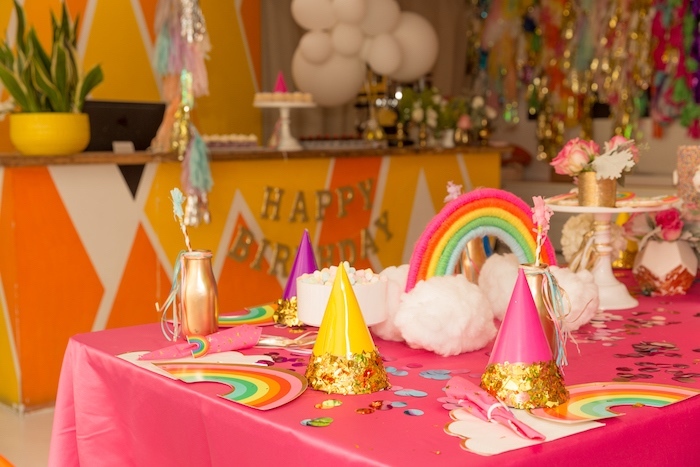 Juliet’s party description- “WE have been doing LOTS of Rainbow Unicorn parties over the past year. 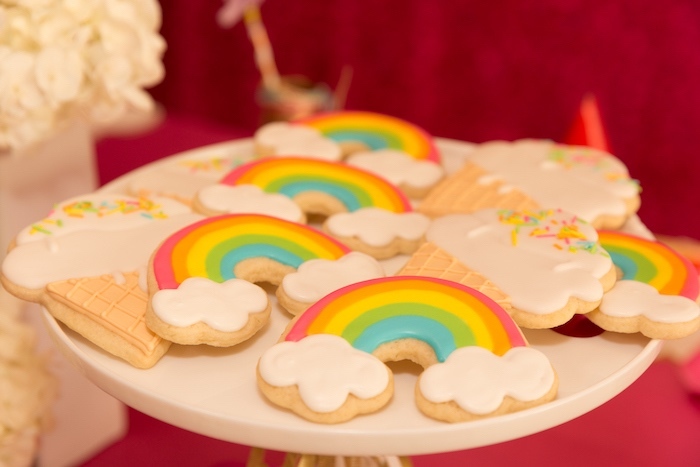 However, recently we have had a few requests for JUST Rainbow — which we LOVE! 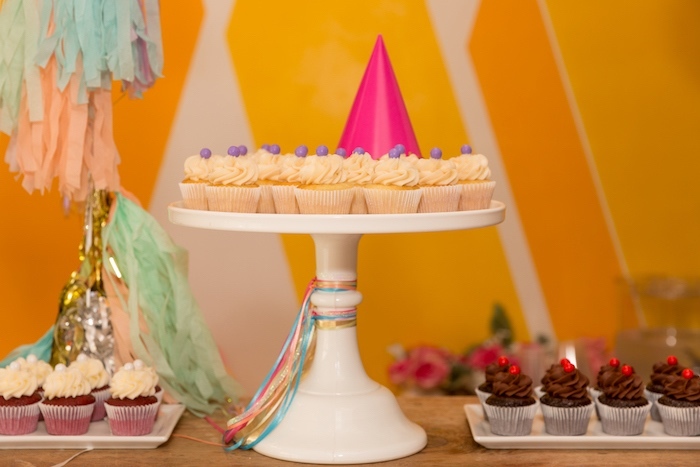 We love love the bright beautiful color palette – inspired by the cute Oh Happy Day Party Shop plates and cloud napkins. 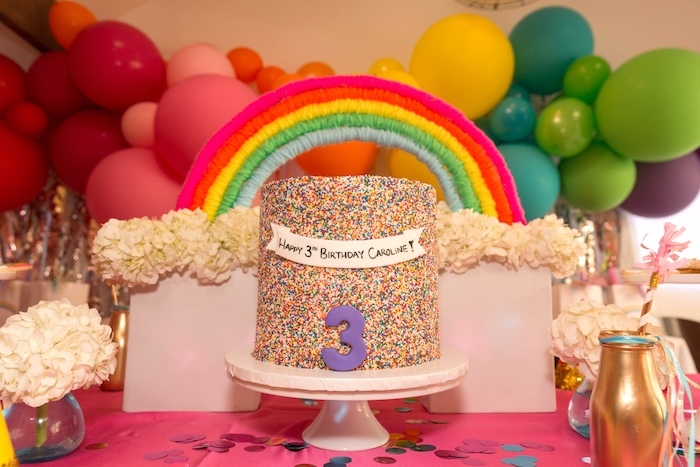 We handmade the tarn rainbow centerpieces to match the plates. 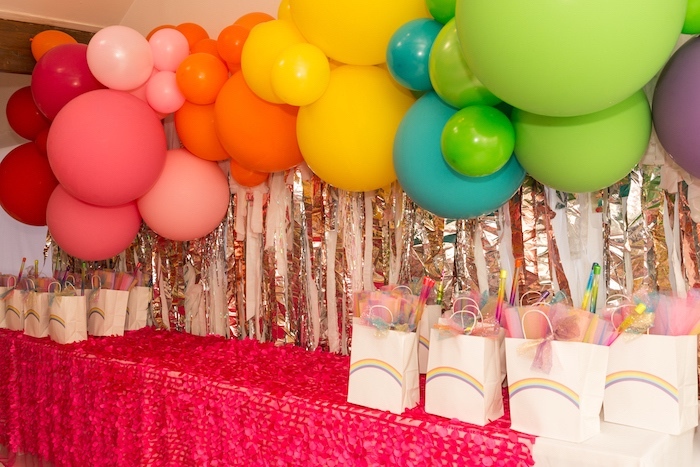 The balloon wall install matched the centerpieces in the same bright beautiful colors! 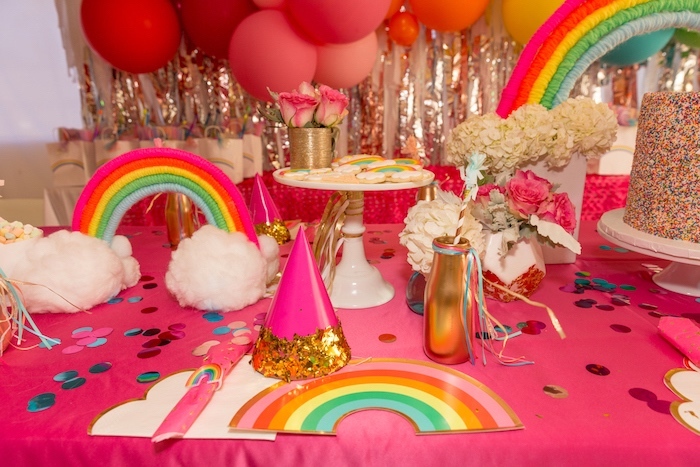 We dressed up plain party hats with a glitter dip and used rainbow rings as napkin rings with the adorable Cynthia Rowley hot pink napkins with gold stars.